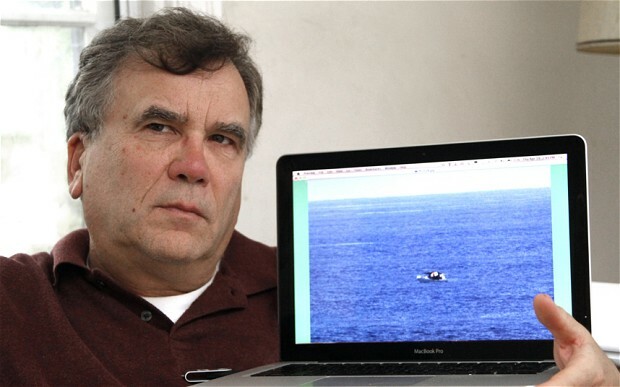 As last reported two months ago, Leesfield Scolaro filed a lawsuit against Princess Cruises on June 5, 2012, on behalf of Fernando Osorio’s parents in the United States District Court Southern District of Florida. The lawsuit is based upon the death of Fernando amd asserts Princess Star’s failure to rescue his vessel in distress, the Fifty Cent, after its crew was alerted by three passengers that they had spotted a small boat adrift over 125 miles from shore, whose occupants were signaling for help. Fernando Osorio, Adrian Vasquez and Elvis Diaz were fishing off the coast of Rio Hato, Panama, when the engine of the 26-foot panga boat broke down. After being adrift for 15 days and 14 nights without power, the three occupants saw a cruise ship in the middle of the ocean and began signaling and waving t-shirts and life jackets in an attempt to be seen by someone on the large cruise ship. Their wish came true when several cruise passengers spotted the three men and the Fifty Cent. The passengers, who were using optical equipment to look for birds alerted a crew member who they asked to alert the Captain immediately. As the passengers listened on, the crew member called the bridge and advised of the disabled boat. During the process, they also showed the crew member the distressed vessel through their optical gear, and he confirmed to them he had seen the same thing they had. To their dismay, nothing happened. Approximately two weeks later, a commercial fishing vessel rescued the drifting fishing boat near the Galapagos Islands. On board, the rescuers found only one survivor, Adrian Vasquez, 18. The other occupants, Fernando Osorio, 16, and Elvis Diaz, died in the days following the sight of the cruise ship and their decomposed bodies were eventually placed overboard. You can read Cruise Ship Lawyers Blog’s entire coverage of this case here, including a copy of the complaint available for download. “This is the ultimate desperation “Hail Mary” pass with no time on the clock from 90 yards out and not a very good attempt at that. Princess has paid a lot of money to a so-called expert to compare an out-of-focus grainy picture taken from several miles away with what Princess itself describes as a “computer stitched image” of the Fifty Cent adapted from a cell phone video taken off the boat when it was rescued at a different angle and different lighting conditions. We have solid evidence that confirms that the picture shows the Fifty Cent. 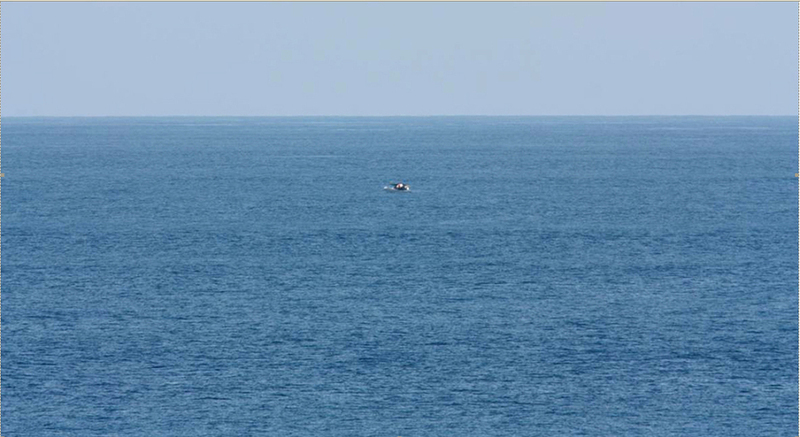 The picture also shows 3 men in the small boat, with one waiving a life jacket and the other a white shirt as reported by not only Adrian Vasquez, but also by the cruise ship’s passengers. Although the Fifty Cent is a small 26 foot fishing boat used for short overnight trips close to shore, Princess would have the public believe that there were two identical boats over 125 miles from shore, with 3 passengers waving for help in the same manner far beyond the distance these boats can fish. While Princess represented to the public in a prior press release that “We all understand that it is our responsibility and also the law of the sea to provide assistance to any vessel in distress,” in the lawsuit filed by the families of the two deceased young men and the sole survivor out of the public view, Princess has represented to the court that while “its officers have a moral duty to render aid to vessels and persons at sea when they recognize [they are] . . . in distress” that it has “no legal duty” to do so. It seems that the latest press release is more of the same. Princess’ latest press release seems all about avoiding responsibility for its actions and the public scorn that has arisen as a result. Instead of accepting responsibility, and ensuring that this does not happen again, Princess has paid “experts” to desperately find a way out to avoid accountability for the devastation to the families of the deceased young men and the sole survivor of his unimaginable ordeal. Princess is now assailing the credibility of the survivor and its own passengers who saw and reported the obviously stranded boat to the Princess crew member. Excerpts of Peltz’ statement were published in the latest article published in the Miami Herald: Princess Cruises denies passing by boat with dying fishermen.